yarnalong: This week has so much crammed into it that it's honestly a little bit like the last hurrah of summer. It's the last week that my older 2 children are home from school, it's the last week before we start back to our regular homeschool schedule, it's VBS for my youngest two children (and somehow I managed to forget how exhausting and crazy it was last year and again agree to do the Story time.....), and it's the week before I launch my new skirt ebook, that I'm doing a different sort of launch and release for on top of it, yay! Several months ago I worked on a beautiful shawl design for a yarn company......and that's about all I can manage to say about it right now. I have many, many, many thoughts and many things to share (all along the lines of ALWAYS standing up for yourselves AND others, and ALWAYS treating others with kindness and making sure that they are being treated with kindness by others as well.....), but, for the moment, suffice it to say that for MANY reasons, I've needed to redo this project. 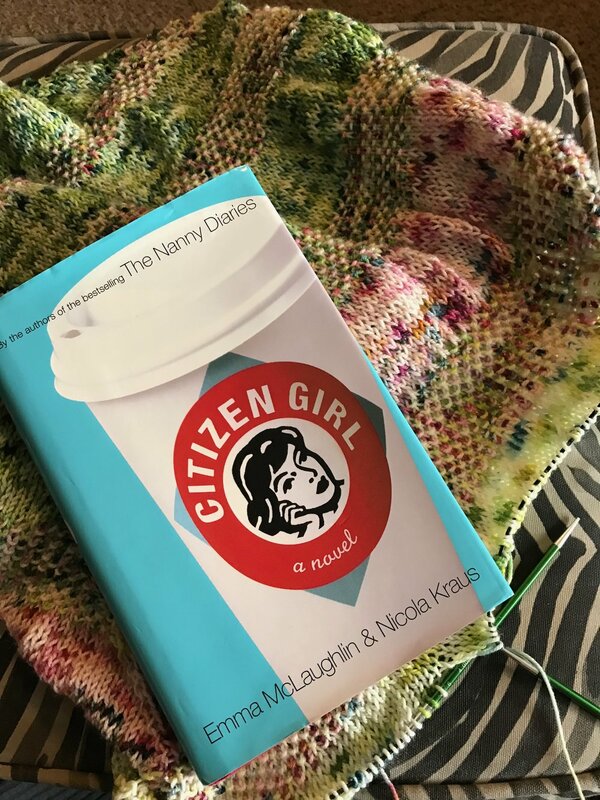 I picked up Citizen Girl off my book shelf the other week and I'm enjoying it so far. It's written by the same pair that wrote The Nanny Diaries. I remember, back when I was a nanny (I've had an exciting life, I can say that for sure! ), how accurate that story was, and how in reading about somebody else in the same situation, I saw with new clarity, and in a humorous context, that how I was being treated wasn't ok, and I found courage to do something different. Citizen Girl is about a Communications Girl, and again it's helped me to look at things with a different perspective. And it's given me the courage, yet again, to stand up for myself, and it's also reminded me that, I don't have to be 24.7 WORK, that sometimes it's ok to not answer an email at 10:00 at night, and that sometimes, you just need to leave your phone off!